Sheer to Opaque Window Treatments – What Does It All Mean? Window treatments come in a wide variety of fabrics. Our clients throughout the Palm Beach area often ask for information about sheer or opaque materials, and how to choose the best one for their new window coverings. As your local Hunter Douglas dealer, we can help you make the best selection. 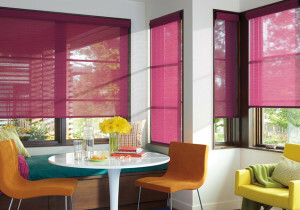 Hunter Douglas window treatments are rated for how they measure privacy and light control on a scale of 1 to 4. Hunter Douglas Provenance® Woven Woods with liner.